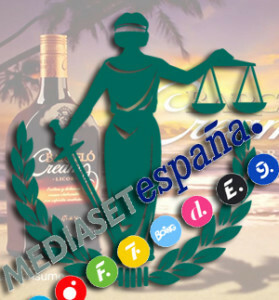 The National Market and Competence Commission has fined the Mediaset TV company €653,456 for allowing alcohol advertisements to be shown on TV before the watershed. In Spain the watershed to protect children and youth from alcohol ads is between 8.30pm and 6am the following day. Spanish regulations do allow ads for alcohol products with strength of less than 20% after the watershed. The violation of the law was noted between July and August 2015 on TV channels Telecinco, FDF, Cuatro, Divinity and Energy, all of whom are part of the Mediaset media group. Ads for Mateus Rose and Barcelo Cream were broadcasted 56 times before 8:30pm. In the resolution report the regulator explains that the violations are handled as ‘serious offenses’ in part because of the adverse effects of alcohol advertising on minors, for which the watershed was created. In their defence Mediaset tried to wave away the wording of ‘serious offense’, in its place asking for the words ‘simple infringement.’ According to the broadcast company the violations where the result of a human error that was caused because the broadcaster was short-staffed during the summer. The situation could not be corrected immediately, said Mediaset, because of the lack of staff. The company also added that there was no ill intent. The financial penalty €653,456, was calculated based on the viewership of the average audience mainly affected by the broadcasts and the expected profits the offender obtained by committing the offenses, subject to the number and duration of broadcasts. In reaction Mediaset called the amount of the penalty disproportionate and stressed again that the broadcasts were due solely to specific unintentional errors and that they were corrected as soon as they were detected. Mediaset has a two-month period in order to appeal against the fine.